Jean Pierre lives with his wife and young son. Since their son is still young, he can't fetch water, so it has been Jean Pierre’s job. Grown men won’t often admit when something scares them, but Jean Pierre has shared how difficult the journey for water is, especially at night. The steep path is hard to see, and there is always the fear of wild animals. He struggled knowing that children have to make that same walk. He hears stories about how kids get so dehydrated without water during the school day that they drink from muddy puddles in the road on their way home. 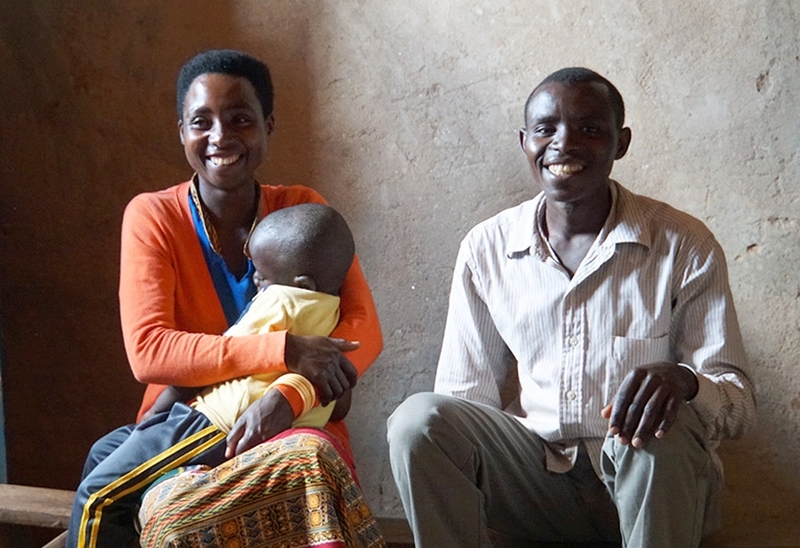 Jean Pierre and his wife have big dreams for their little boy, including avoiding the walk he sees so many children making each day. Now, we have worked with the community to install a safe water point near Jean Pierre's home. So that's one worry they can cross off their list.